The landowners who make a commitment to conservation are the most important partners in efforts to protect the many benefits provided by River to Lake critical lands. 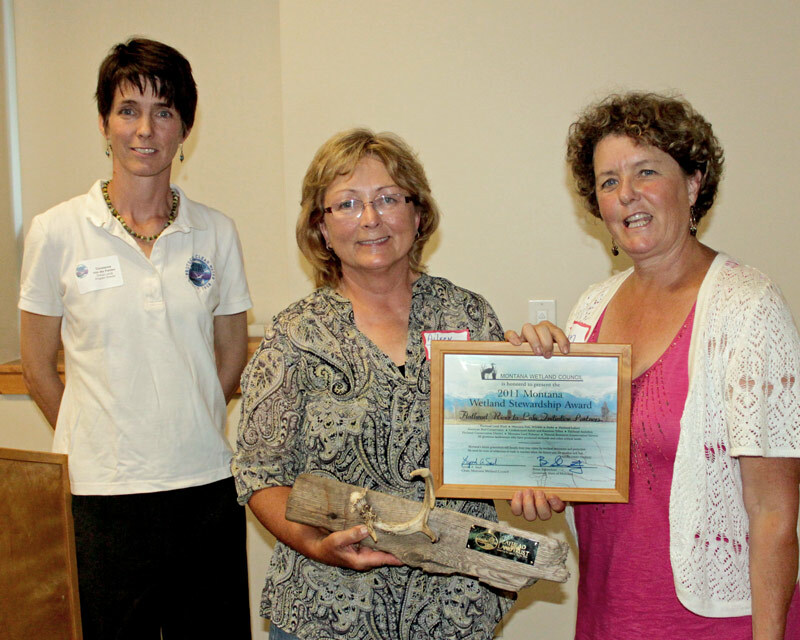 River to Lake Initiative partners were honored with the Montana Wetlands Council’s Wetlands Stewardship Award. 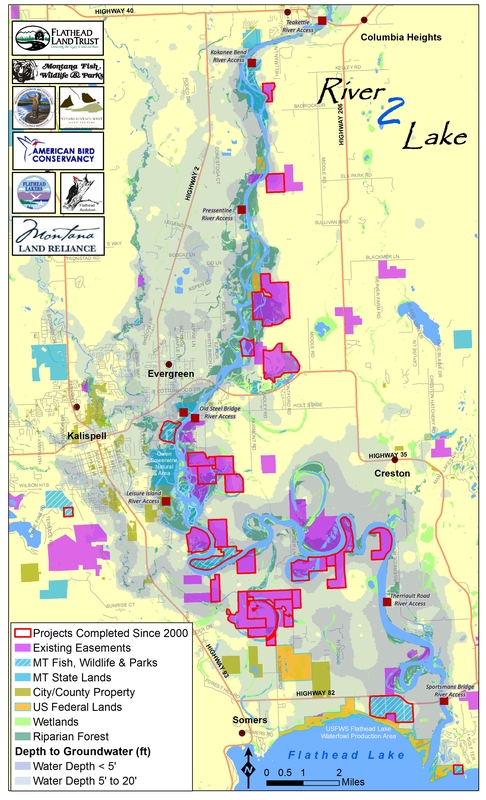 The Flathead Lakers and River to Lake partners shared the award with two landowners who recently placed conservation easements on their Flathead River properties. Flathead Land Trust Executive Director Marilyn Wood presented the award to Aileen and Jerry Brosten, who protected a mile and a half of riparian habitat and prime farm land that has been in the family for four generations. Montana Land Reliance Western Manager Mark Schiltz accepted the award on behalf of Eric and Becca Smith who recently conserved 97 acres of river front wetlands and riparian areas adjacent to a parcel on which they earlier donated a conservation easement.